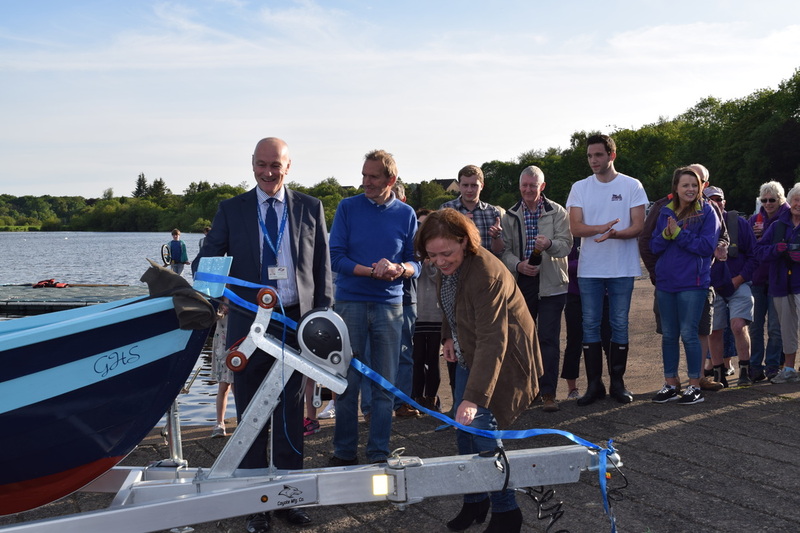 Tuesday 23 June - Mrs Wilson cuts the ribbon in the launch of Gryffe High School's Skiff at Castle Semple in Lochwinnoch. 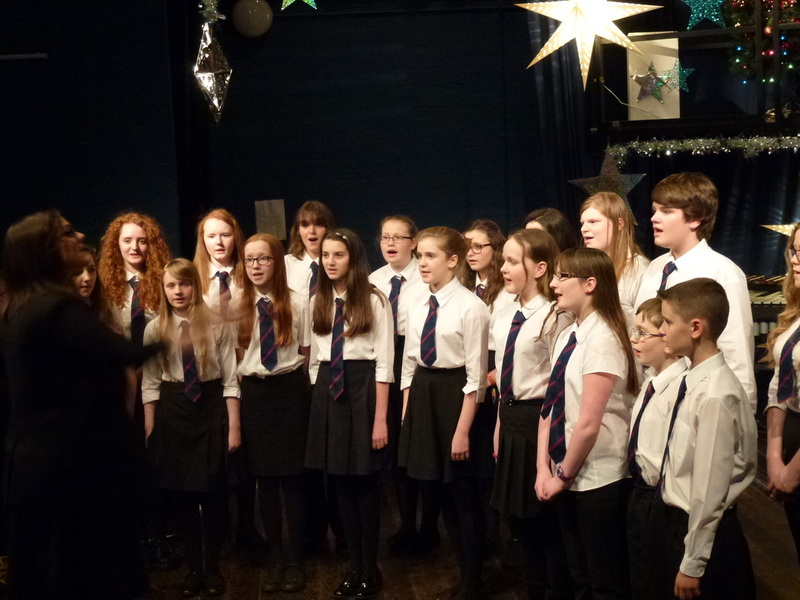 A large turnout of pupils, parents and staff enjoyed the occasion, toasting the launch with champagne and shloer. 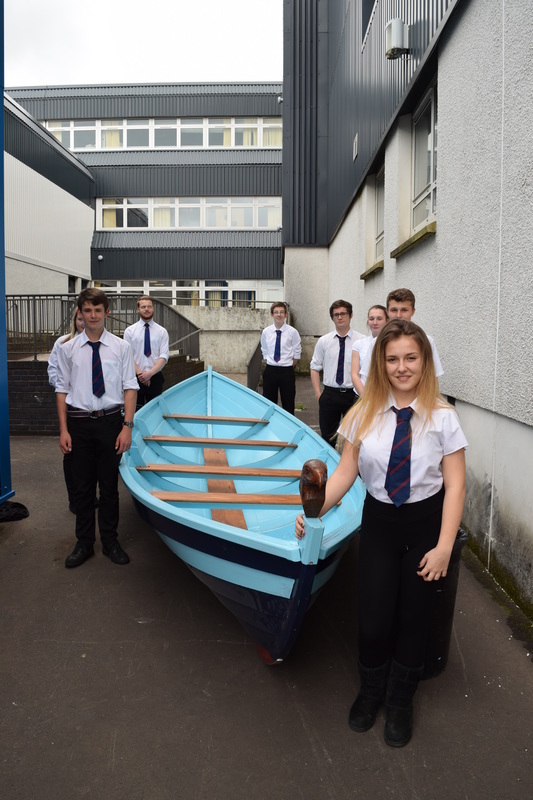 Well done to all pupils, parents and staff who were involved in building such an impressive Skiff, and a particular thank you to Mr Webster. 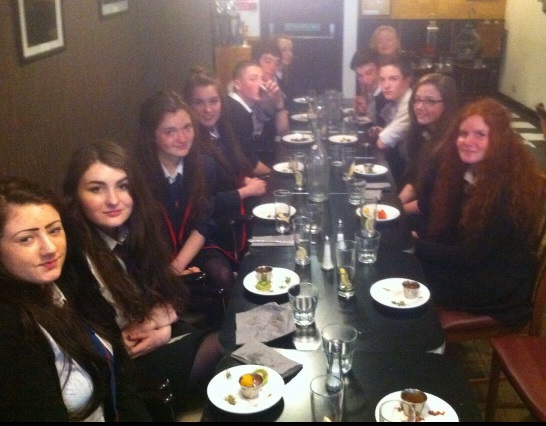 Tuesday 23 June -Today, the new Higher French class experienced a true taste of France at authentic French restaurant 'Le Bistro Beaumartin' in Glasgow. Quite a brave few even sampled the classics-frog legs and snails-délicieux, non? More detail in the July Newsletter. 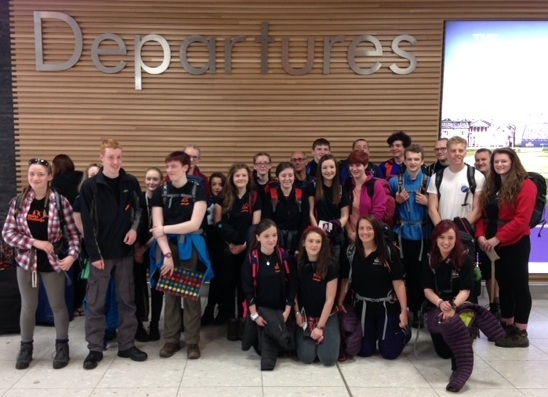 Saturday 20 June - Pupils, and staff, leave on their World Challenge Expedition to Tanzania. Friday 19 June - Gryffe High 'Skiff' leaves the building in preparation for the launch on Tuesday 23 June, 7:30pm, at Castle Semple in Lochwinnoch. We would like to extend an open invitation to all to join us and make the launch a very special event for the school. 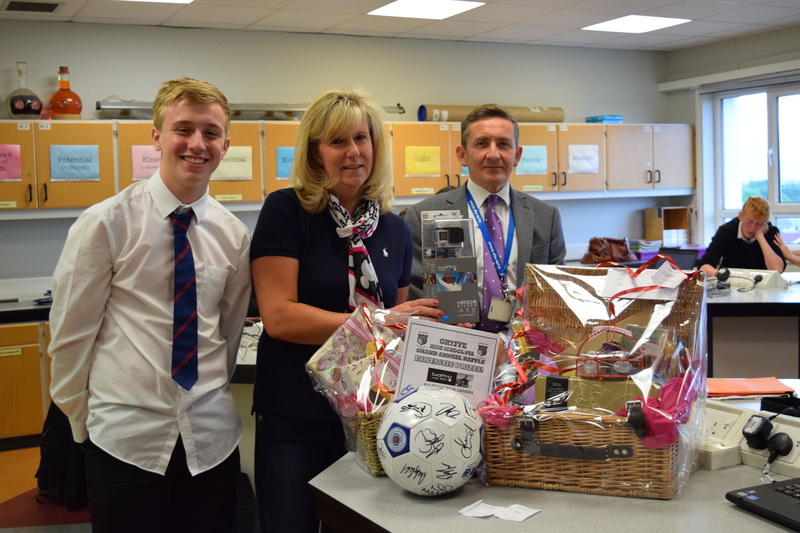 Friday 19 June - The PTA Grand Annual Raffle was drawn today with a little help from a Physics class. More detail will follow in the July newsletter. Thursday 18 June - After a hard fought battle in the Staff versus Pupils Annual Golf Challenge at Old Ranfurly Golf Club, I am delighted to congratulate all who took part, and in particular the staff for their efforts in securing a 3 matches to 2 victory against the pupils. Over the past 16 years staff are edging ahead with 9 victories against the pupils 7. 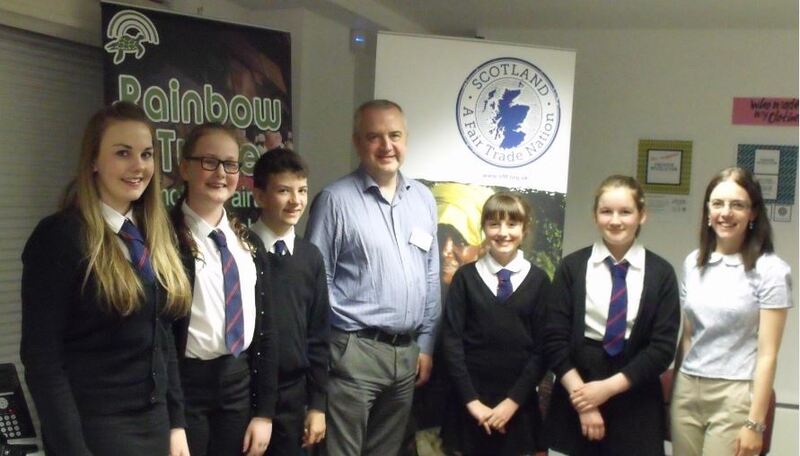 Thursday 18 June - Twenty S3 Health, Food and Technology pupils thoroughly enjoyed their day of the best of farming, food and rural life at the Royal Highland Show in Ingliston - more detail in the July newsletter. 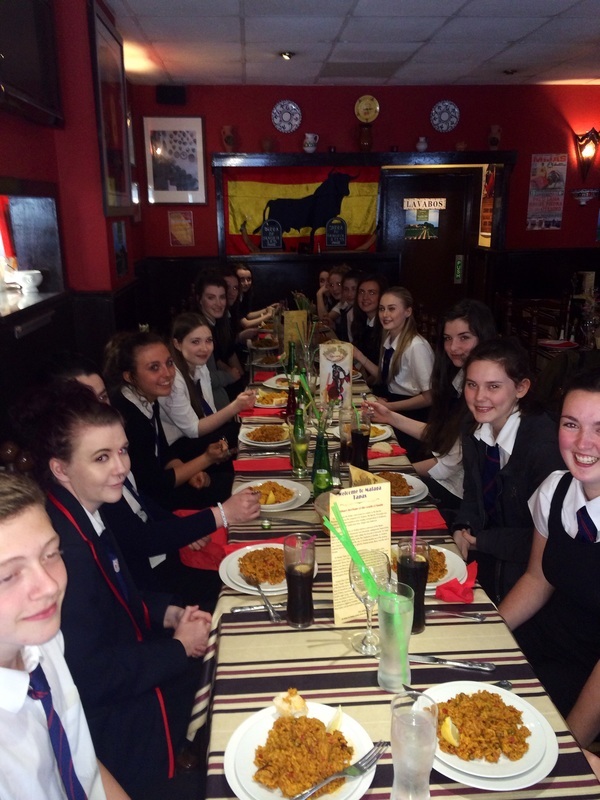 Today the Higher Spanish class experienced the famous 'Tapas' culture and cuisine at authentic Spanish restaurant 'Malaga Tapas' in Glasgow. 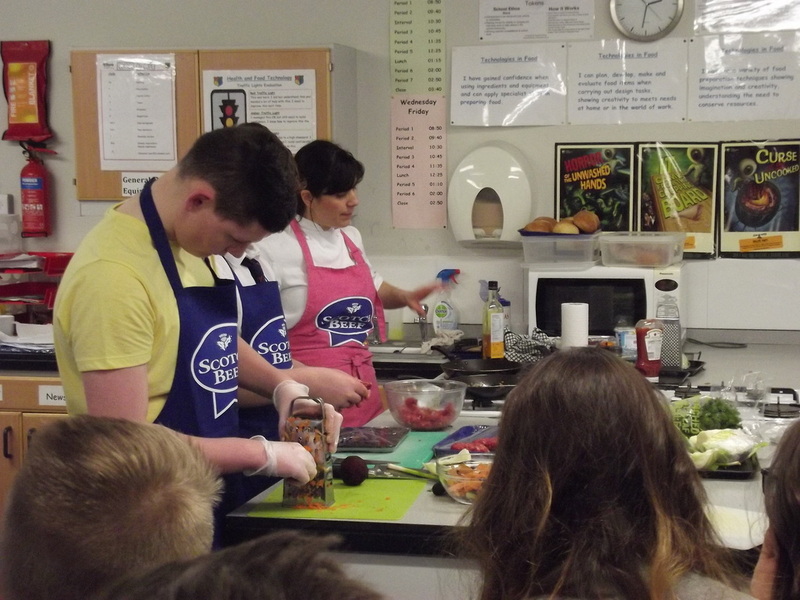 The visit aimed to enrich their experience of learning the language and with all Spanish staff speaking their native language to pupils it was 'fántastico'! More detail in July newsletter. 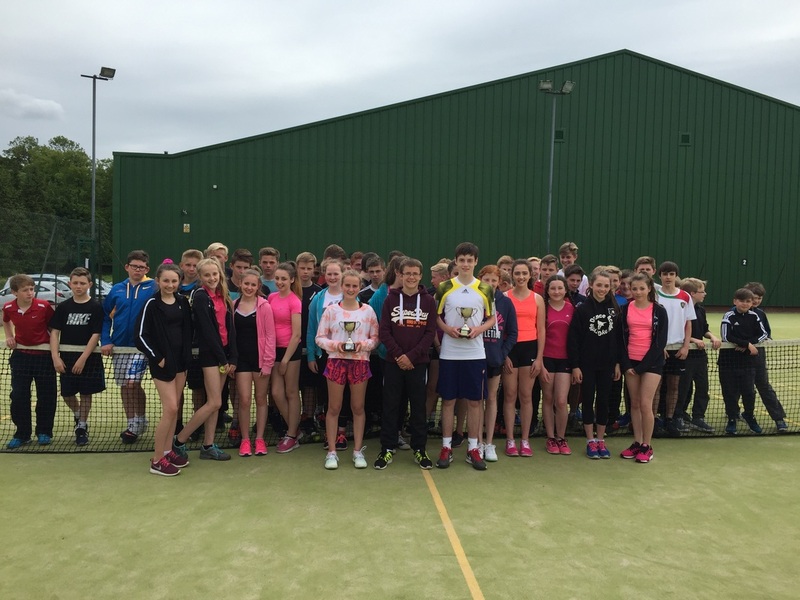 Monday 15 June - The fourth annual Gryffe HS Tennis championships saw 52 players descend on Strathgryffe Tennis and Squash Club. The day consisted of three tournaments - 15 players in Group A Boys tournament, 24 players in Group B Boys and 13 in Girls Tournament. 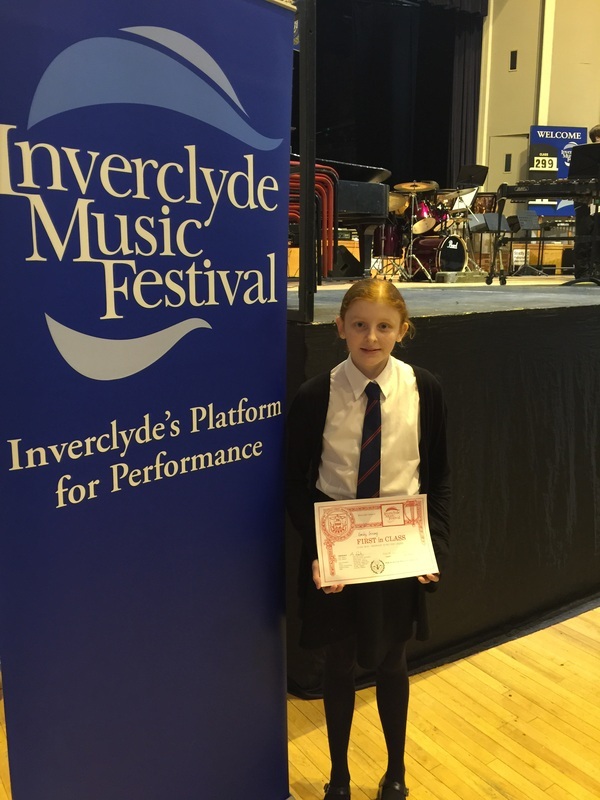 Well done to all entrants, particularly our winners Lee Wishart, Christopher Torrance and Molly Goulding. Further detail will be in the July Newsletter. Seven Gryffe pupils represented the school in the Scottish Schools Track and Field Championships in Grangemouth over the weekend. At this national event, two athletes became national champions - Euan Gillham retaining the Group A Boys 5000m title won in 2014 and Rona Tytler becoming national champion in the Group B Girls 1500m Steeplechase. Further detail will be in the July Newsletter. 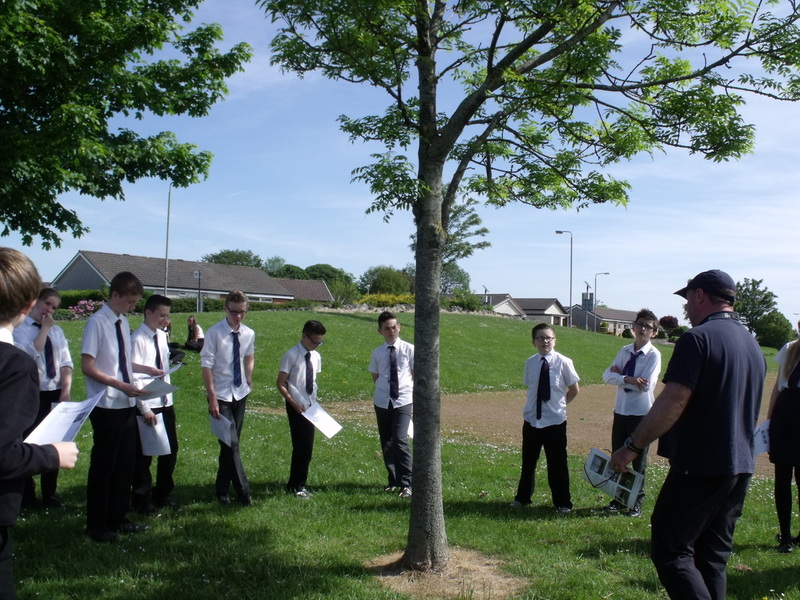 Friday 12th June - The sun shone for our 'Learning for Change' Eco Day. 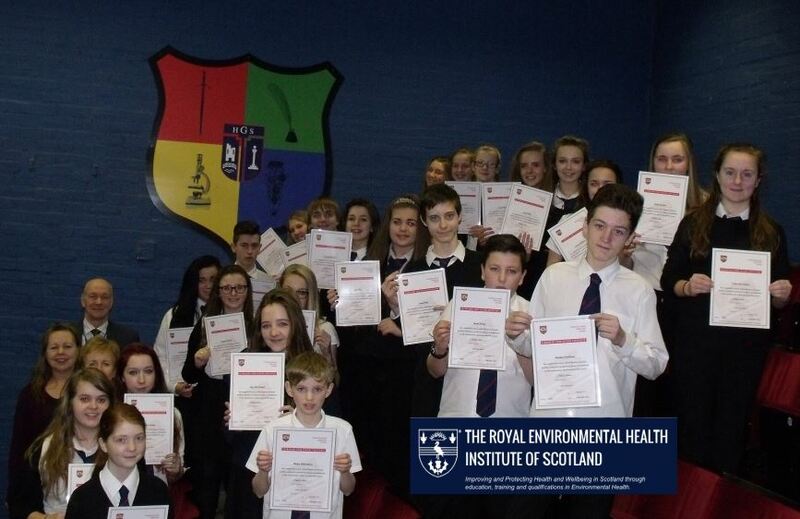 This was a fitting end to the P7 Induction week and gave them not only a chance to meet the new S2 pupils but also the opportunity to take part in around 20 informative and interactive workshops around Eco Issues. 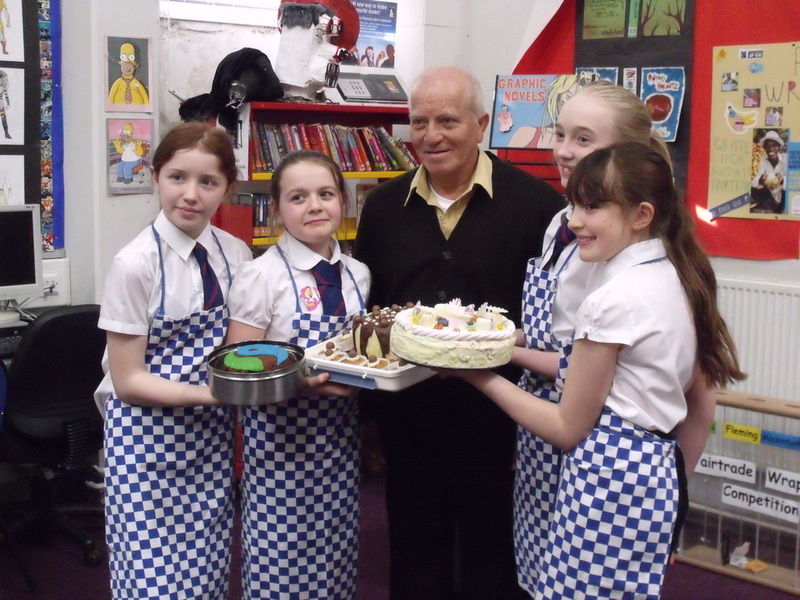 Thanks to the visitors and our own staff who made this possible and more detail will appear in the July newsletter. 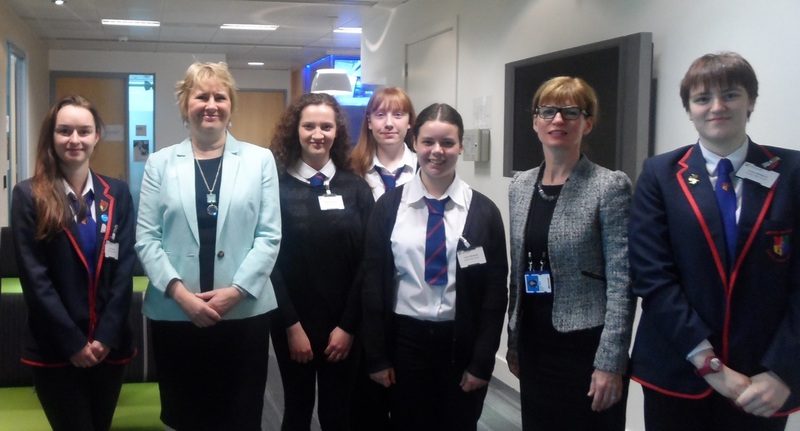 Thursday 11th June – S5/6 students attended a Young Women in Technology Event at Microsoft Scotland HQ in Edinburgh where they met with the Cabinet Secretary for Fair Work, Skills and Training, Roseanna Cunningham. More detail about the event will be in the next newsletter and /or watch the link below. 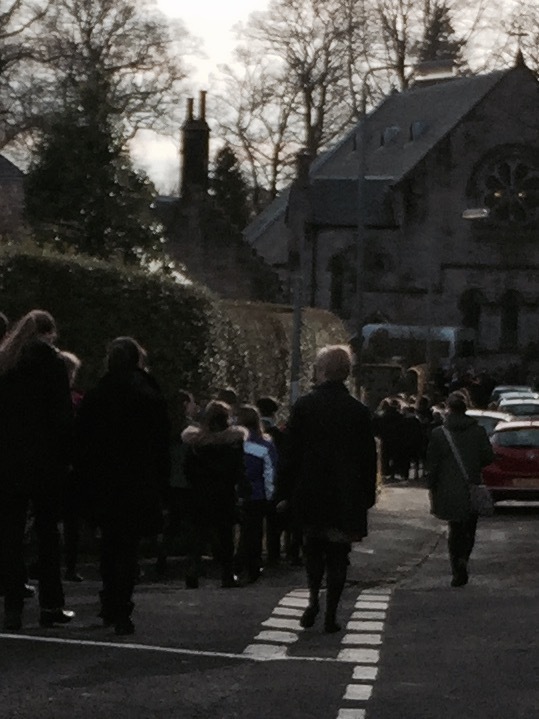 Thursday 11 June - I thought I would explain that today we had a fire alarm caused by a faulty sensor in a Science Lab. The sensor has been checked and cleared for use although we are considering using a different type of sensor in that particular room. Monday 8 June - Gryffe win their first ever football trophy. 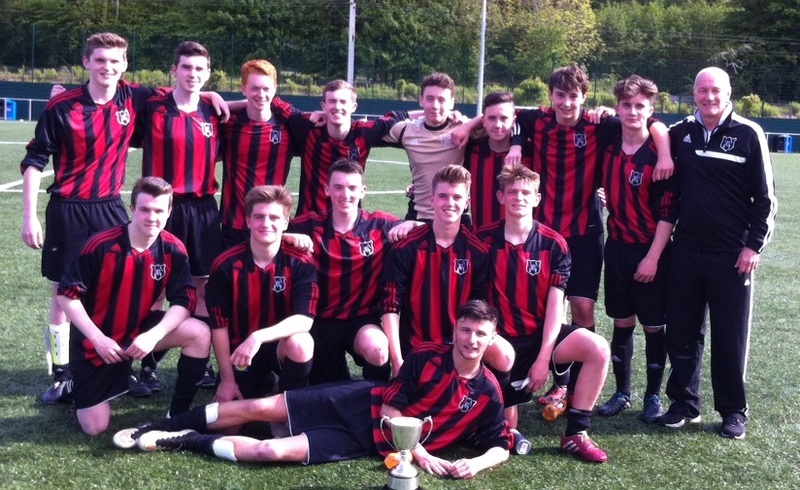 Well done to the Under 18 Football Team in winning the Paisley & District St Mirren Cup. 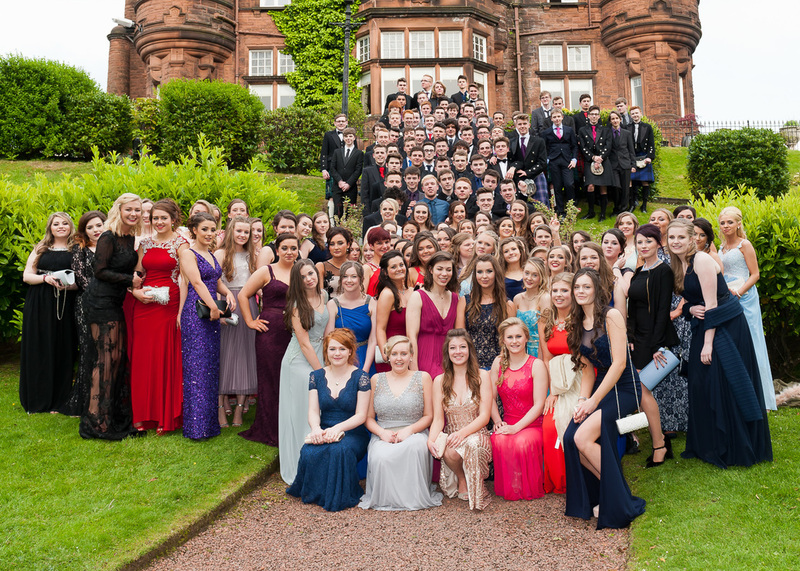 Thursday 4 June - S6 had a fantastic time at their PROM in Sherbrooke Castle. Our official photographer Mr Andy Stark, 'The Studio - Bridge of Weir', has given permission for us to use this picture. 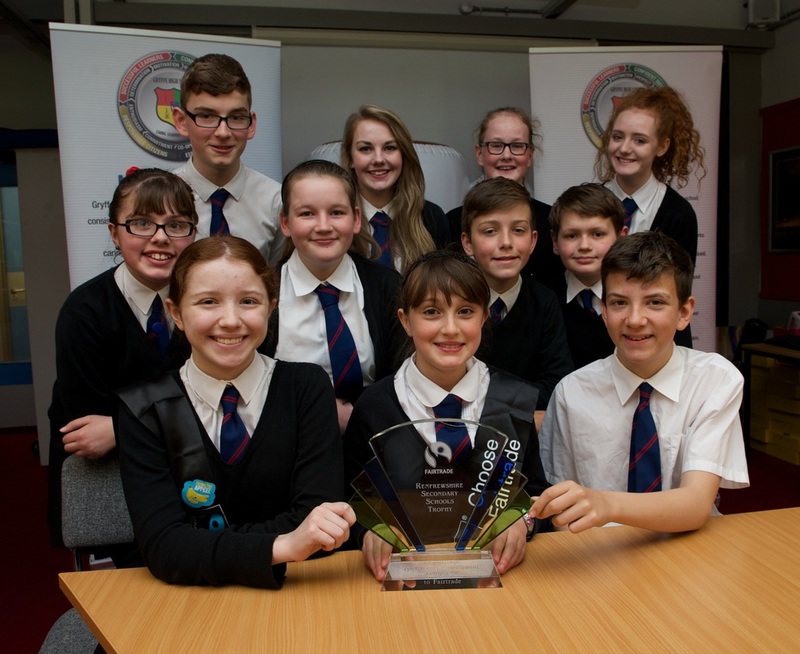 Thursday 4 June - First class..... Gryffe the first School to win the Renfrewshire Secondary Schools Fairtrade Trophy awarded for outstanding commitment to Fairtrade. More detail will be in the next newsletter. ﻿﻿Tuesday 26 May – Under the SQA tab, Senior Phase, you will find the "Next Steps" feedback from the consultation on further education by Renfrewshire Council and West College Scotland (WCS). 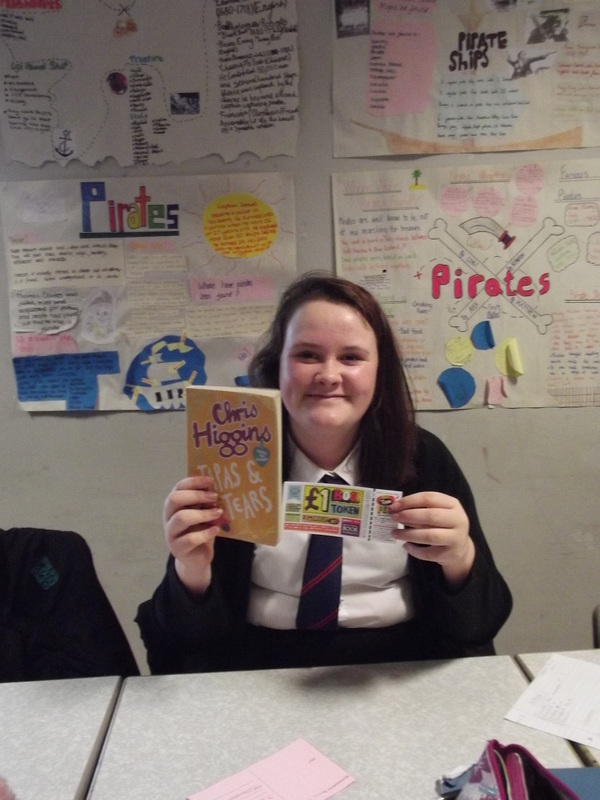 This provides possible extended curriculum opportunities for S4,S5 & S6 pupils. 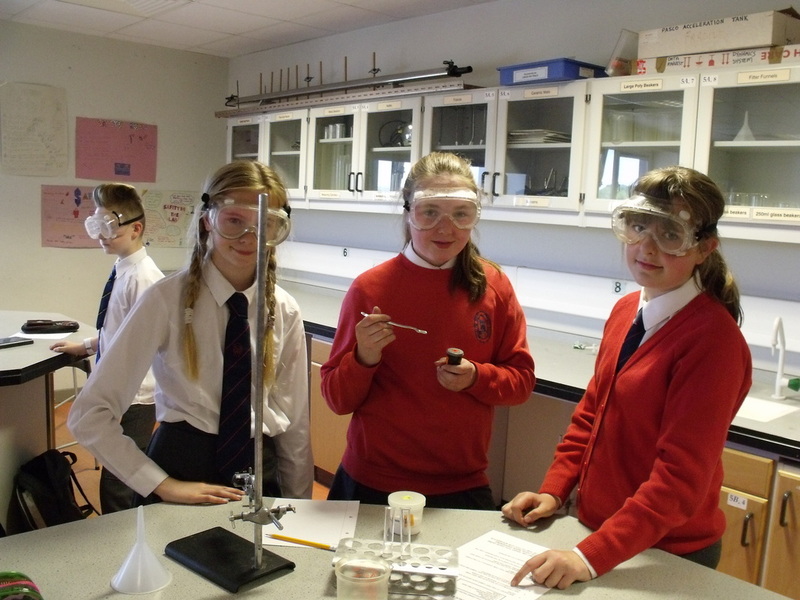 The P7 Invite Letter and Programme 2015, and the P7 Letter to Parents regarding the Information Evening, have been uploaded under the 'SQA/ASSESSMENTS' tab, then 'Broad General Education'. 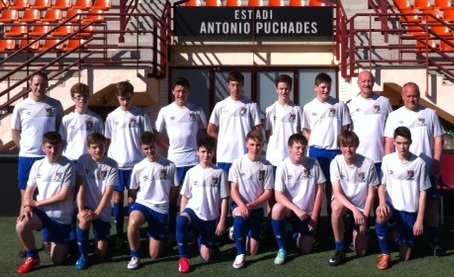 Details of residential trips have been added under the News section. Any information or updates we receive while groups are away will be uploaded here. 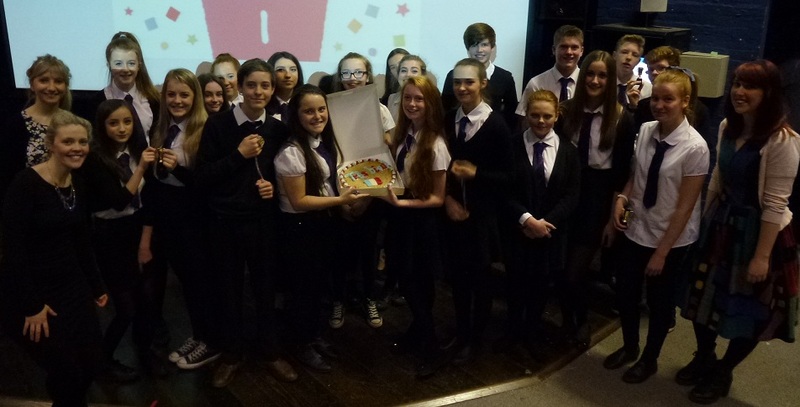 This is the message our S3 French Apprentice Challenge Finalists were trying to win over the judges with today! 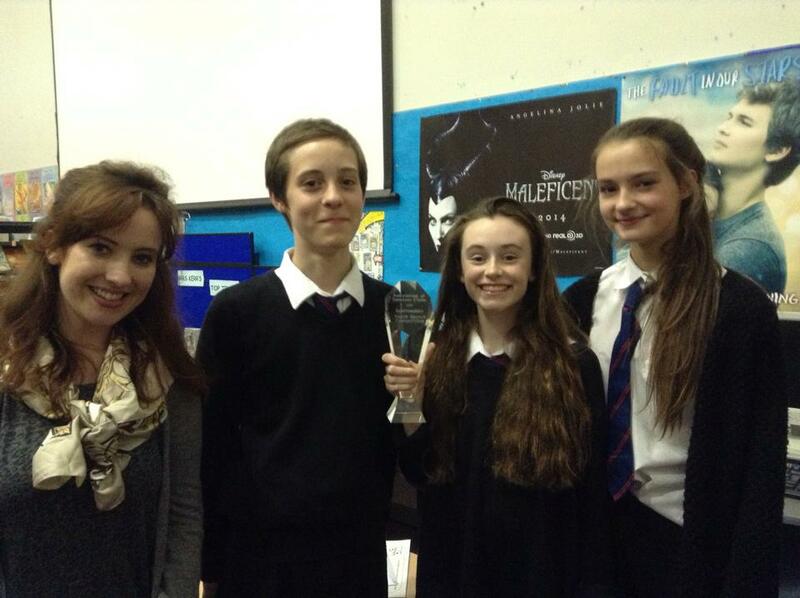 Well done to all the finalists for presenting their work and 'félicitations' to the winning team Euan Huey, Maisie Huey, Fern Adams and Claire Conway! 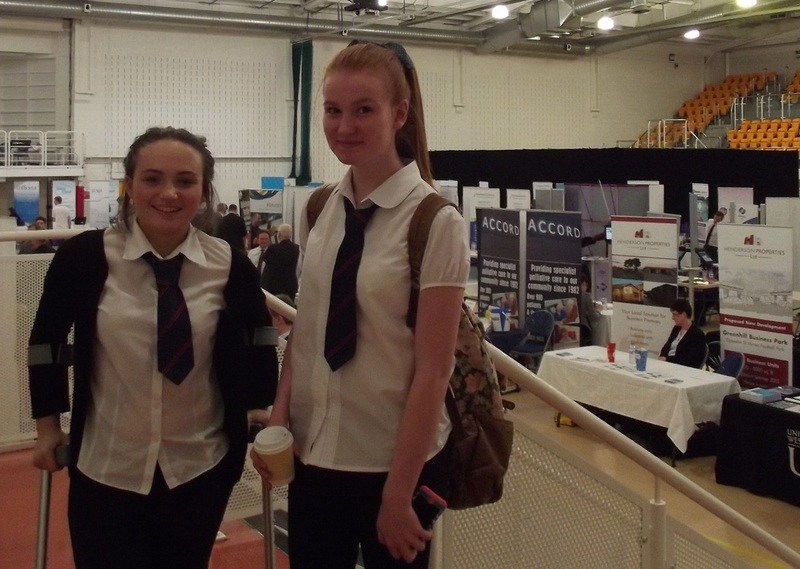 Eight S3 pupils attended the B2B - Renfrewshire Chamber of Commerce Business Matters in Renfrewshire 2015 event at the Lagoon where they attended seminars and enjoyed meeting a variety of business personnel. Wednesday 13 May - "Over 160 pupils competed in the annual School Athletics Championships which took a new Pentathlon format. 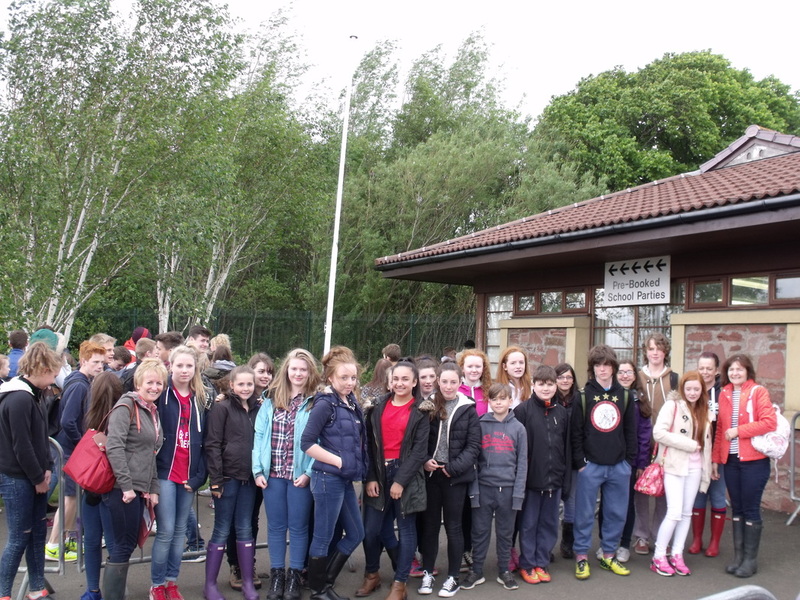 A fantastic day was had by all with effort and attitude of all pupils outstanding. Well done!" Safety and insurance checks to be carried out in good time. 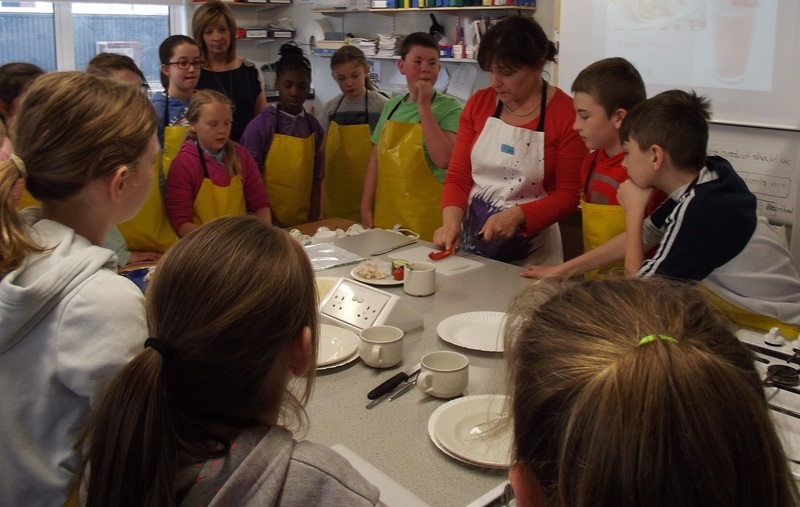 Pupils will be given more information about Work Experience in August. with Merits and distinctions. Well Done!! 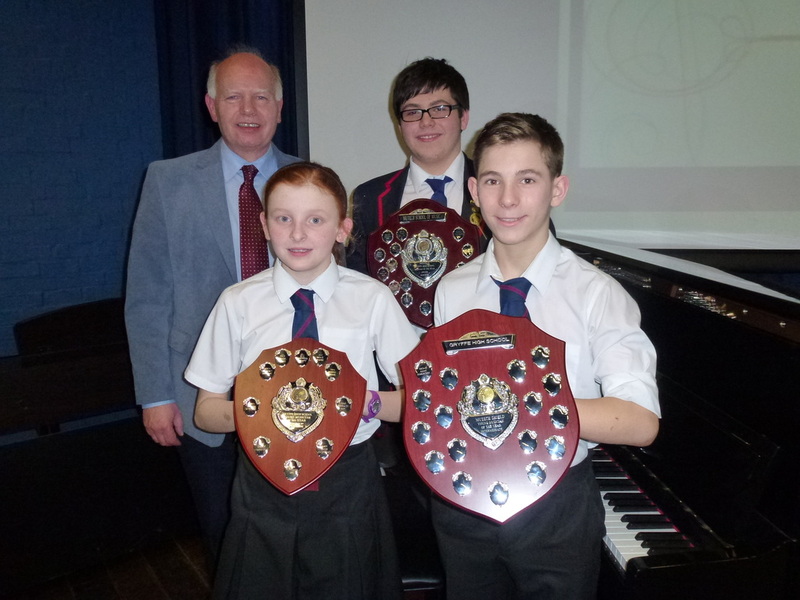 Wednesday 6 May​​ - The May Newsletter has been uploaded to the school website under the tab 'News', then 'Newsletters'. The May letter to Parents has also been upload under the tab 'News', then 'Letters'. 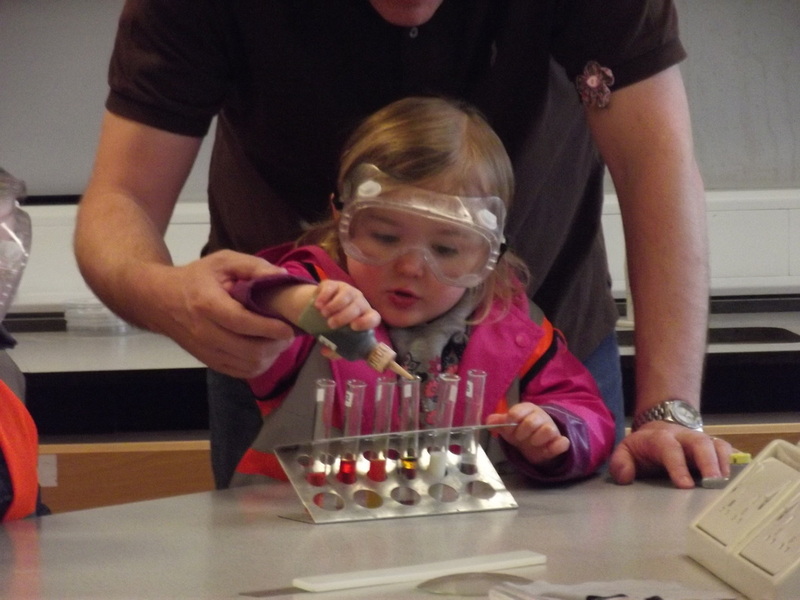 Tuesday 5 May​ - The science department welcomed almost 80 young pupils today from Bridge of Weir Nursery. The children, their teachers and helpers battled through the driving rain to visit the school. The visitors came in 2 groups and their eyes were wide open as they watched and also tried for themselves several colourful experiments. Full detail in the June edition of the newsletter. 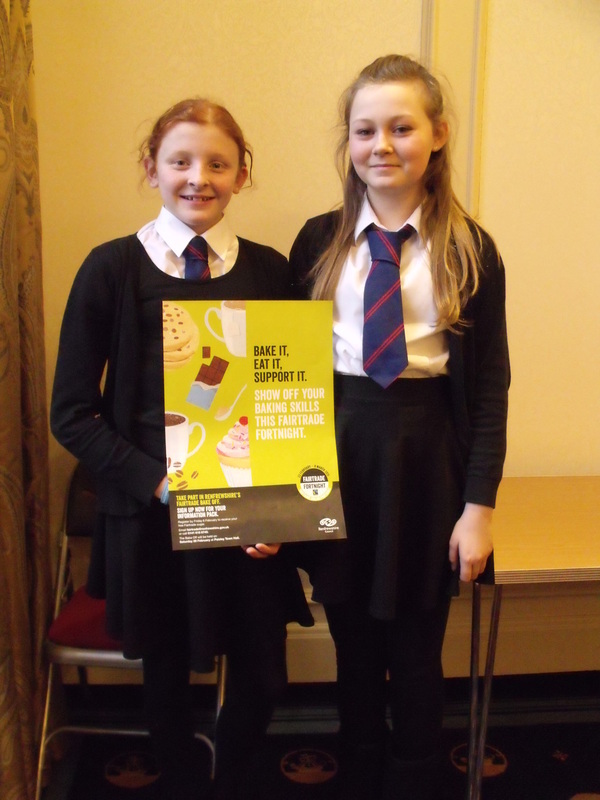 Friday 24 April ​- Gryffe pupils gave a great presentation on their Fairtrade work at the Fairtrade Learning and Teaching Network hosted by the Scottish Fairtrade Forum. 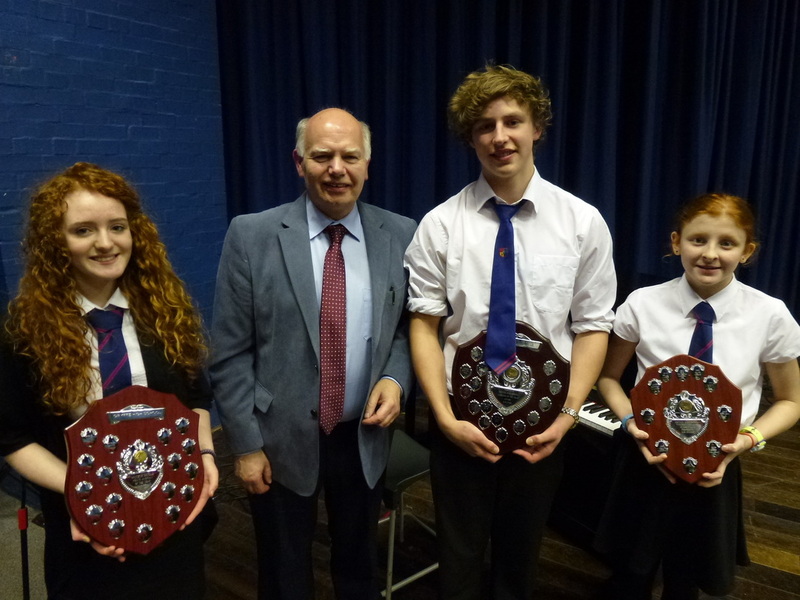 Thursday 23 April - Thank you to all who attended our Awards Ceremony to celebrate the significant achievements of so many of our pupils. Wednesday 22 April - The attached file details the Additional Support times for S4, S5 & S6 pupils during the SQA Examinations. Thursday 2 April - S1, S2 and S6 pupils walk to Houston and Killellan Church, joining P7s from Houston Primary School, for our Easter Service. 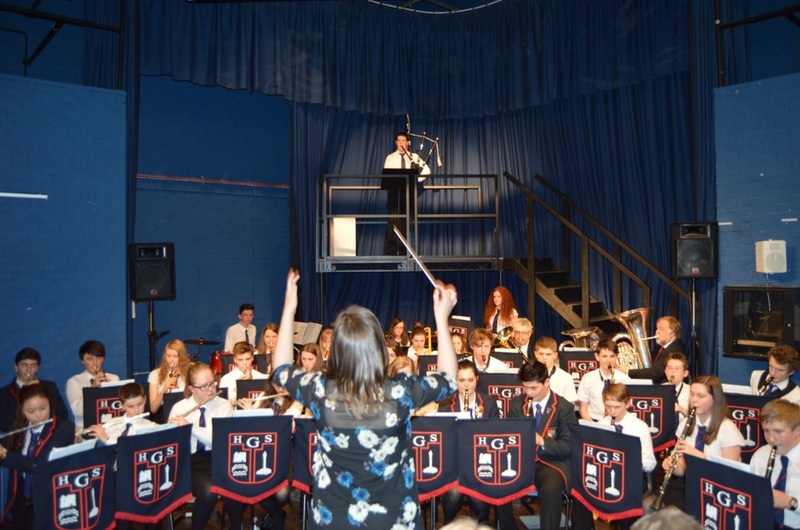 Friday 27 March​ - The March/Spring break letter to all Parents/Carers has been uploaded under the 'News' and then 'Letters' tabs. Wednesday 25 March - Feedback regarding our school website and App. 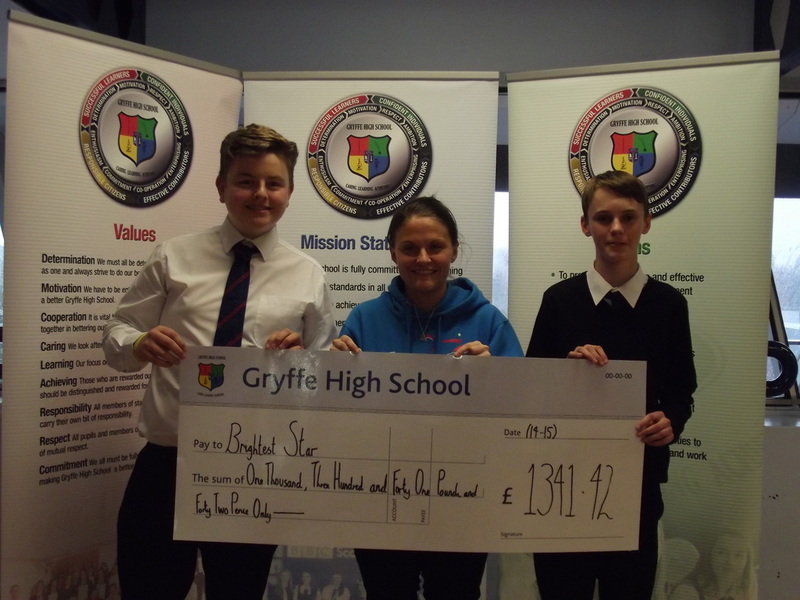 S4 Youth Philanthropy Initiative A massive ‘WELL DONE’ to all 8 groups who participated in the YPI Gryffe Finals, 25 March 2015. 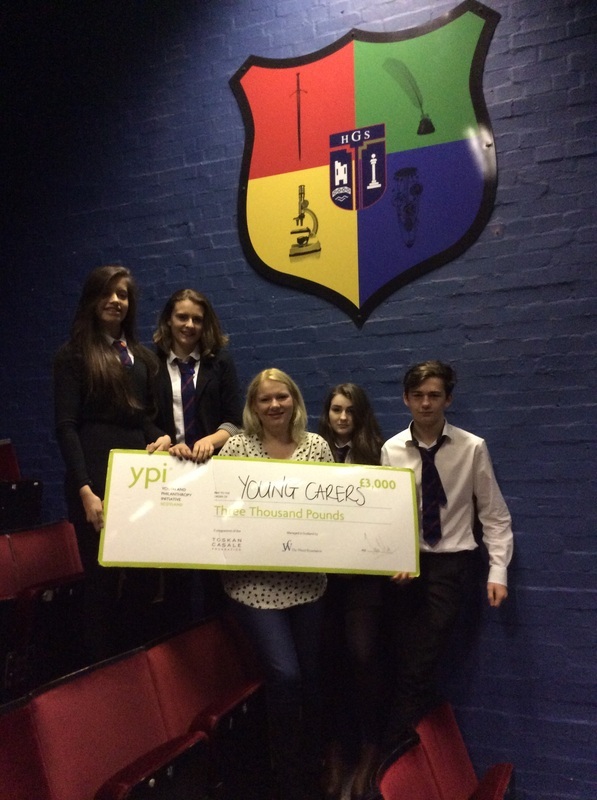 The winning team received a cheque for £3000 for Renfrewshire Young Carers. Further detail will be in the May newsletter. This exciting annual event debated the interesting motion 'the rise of the machine will end the era of the linguist' in French, Spanish, German, English and Chinese. 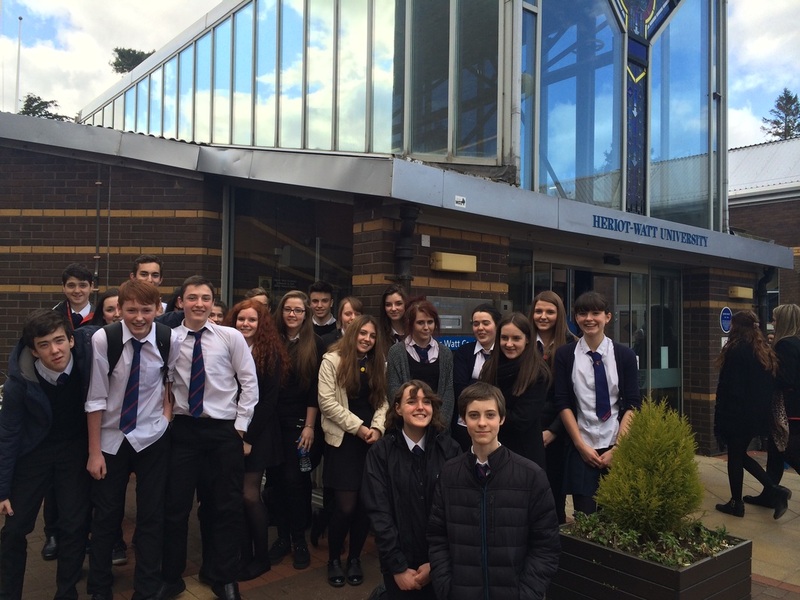 Gryffe pupils were very impressed as university students simultaneously interpreted between the languages. 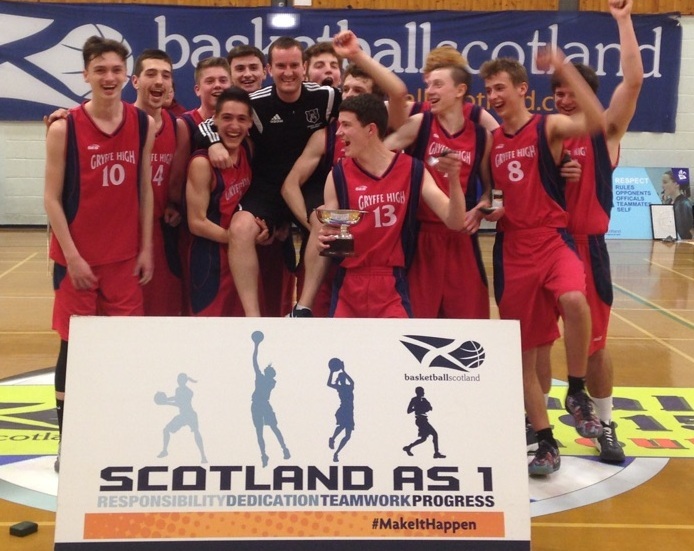 Gryffe High School, Scottish Cup Basketball Champions 2014/2015. A nerve jangling final as Gryffe beat Stewarton 90 -84. An incredible achievement. Further detail will be in our next newsletter. 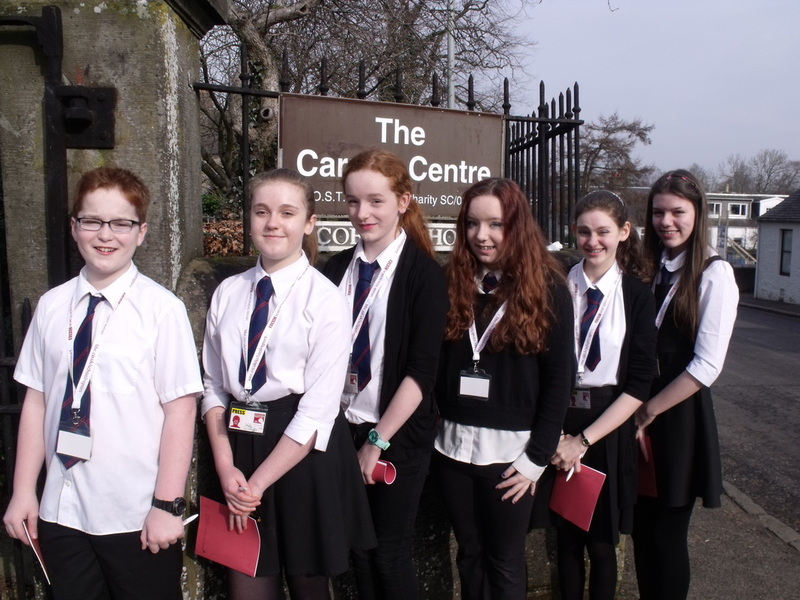 Tuesday 24 March - Last week a group of 10 STEM Ambassadors joined our S2 pupils to share information on their careers. STEM stands for Science, Technology, Engineering and Mathematics. 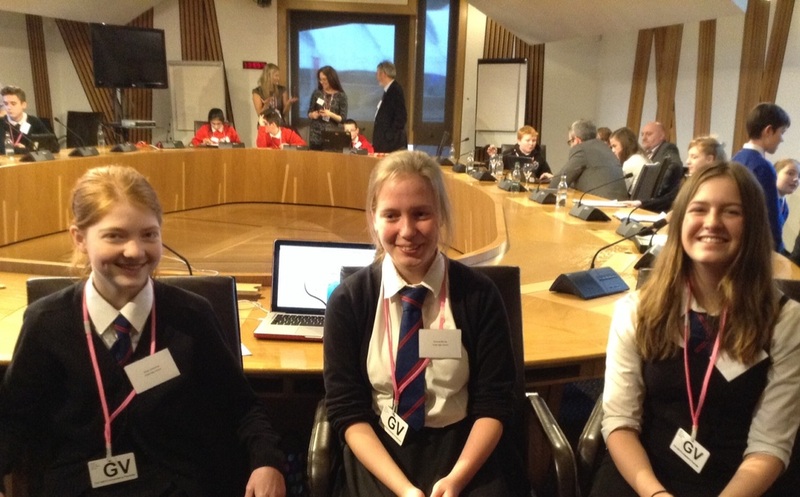 The ambassadors represented professions such as Radiation Engineering, Genetics and Software Engineering to name a few. Further detail will be in our next newsletter. 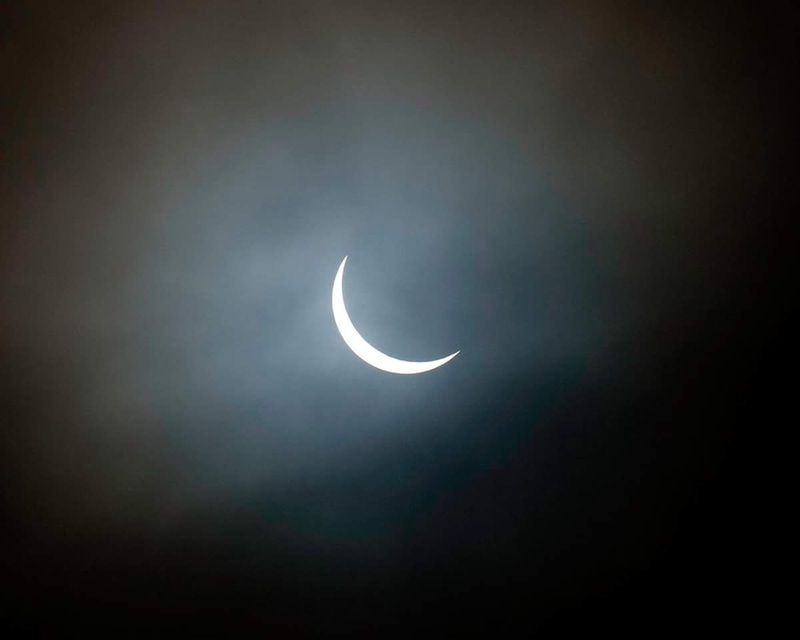 Friday 20 March - The work put in by the Science Club making solar viewers was all worthwhile this morning when we were lucky in Houston to have a fantastic Solar Eclipse experience. The young scientists also monitored the weather during the period and will submit their findings to Reading University Metereological Dept. This AMAZING picture is courtesy of local photographer Andy Stark of Stark Images. A big thank you to all who attended the PTA Pamper Evening on Friday. 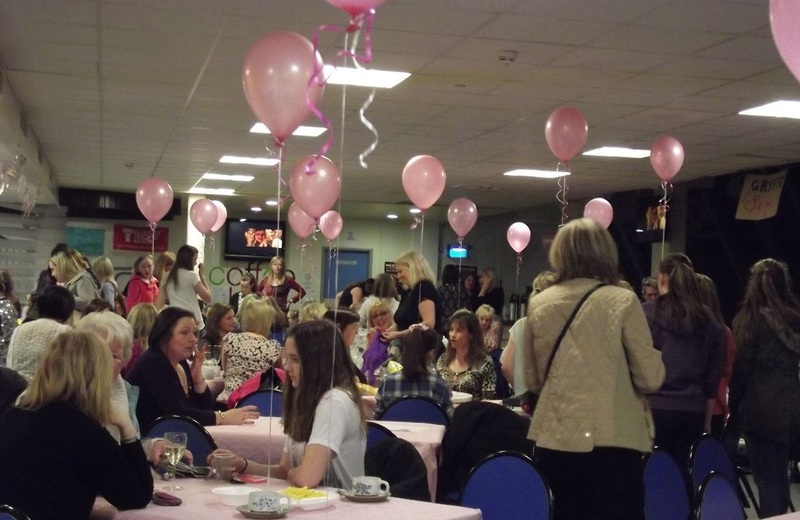 We managed to raise over £900 for the school and everyone had a great night, with plenty of Mother's Day presents purchased! 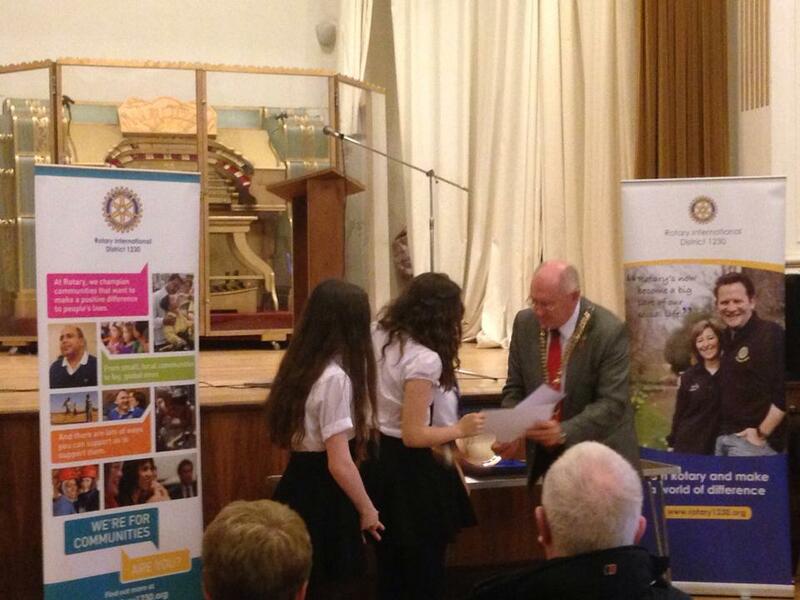 Gryffe nearly sweep the board in Basketball success in Renfrewshire and East Finals! Look under the SPORTS UPDATES on right hand side of this page for more details. 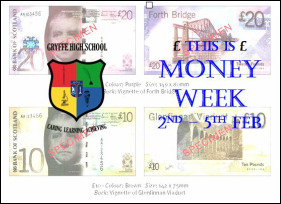 Wednesday 18 March - Gryffe win Renfrewshire Hockey League. Look under the SPORTS UPDATES on right hand side of this page for more details. 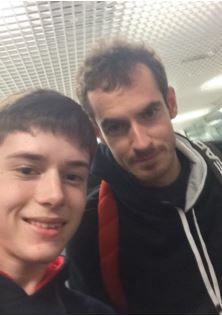 S6 pupil Lee Wishart thoroughly enjoyed being one of the selected ballboys for the recent Davis Cup tie in Glasgow. Lee said it was a great chance to have a close view of some great tennis from some of the best tennis players in the world. 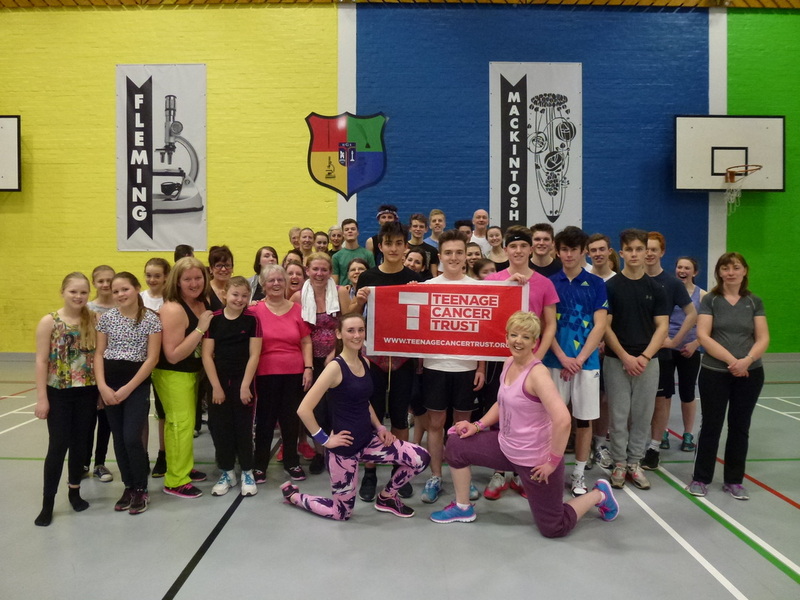 Thursday 12 March - Arlene from the Brightest Star Charity was overwhelmed by the work and generosity of our S5 pupils who raised £1341.42 for this important cause. 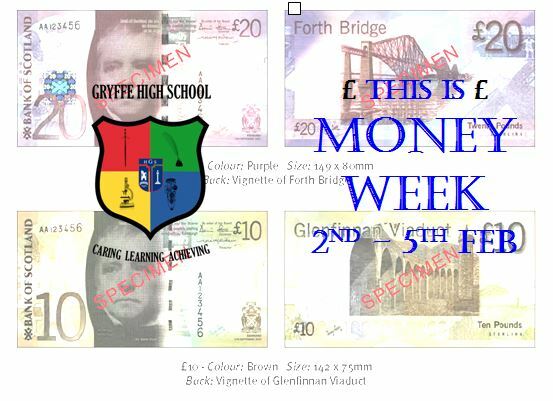 The school will continue to raise money for this charity and hopefully our new S5 year group will match or go beyond the amount raised this year. 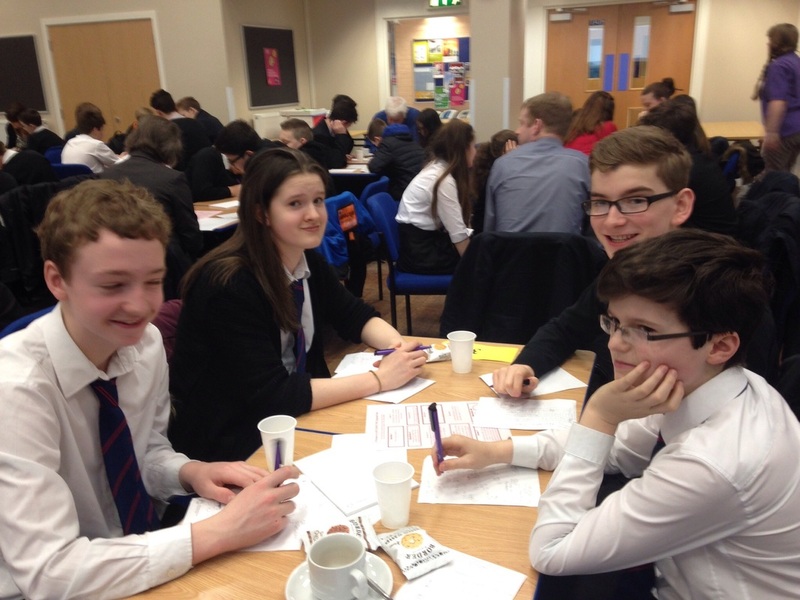 Wednesday 11 March - A team of pupils Andrew Norval S1, Hamish MacLaren S1, Jenny Hall S2 and Shaun Sweeney S2 took part in the regional finals of the UKMT Team Maths Challenge today at UWS (Hamilton campus). After a lot of hard work and much excitement in the Relay round, the team finished in a very creditable 7th position, from the 30 teams taking part. 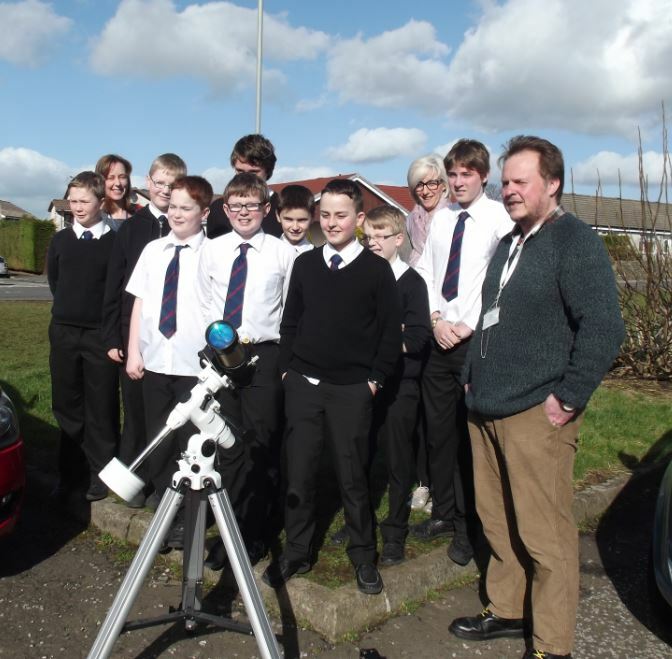 Tuesday 10 March - The Science Club and Media Team enjoyed a fantastic visit from John Pressly from Coats Observatory today on safely viewing the forthcoming Eclipse (on 20th March). The Media Team have chosen this as their theme for BBC News School Report Day. 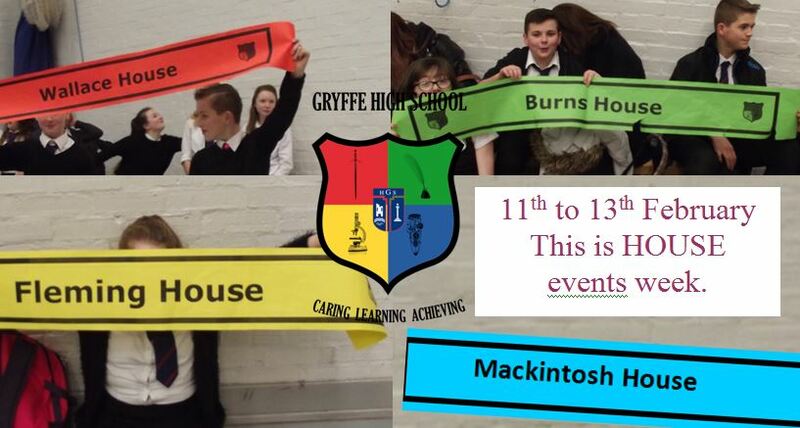 Tuesday 10 March - Gryffe through to the Basketball Open Boys Scottish Cup Final. Look under the SPORTS UPDATES on right hand side of this page for more details. 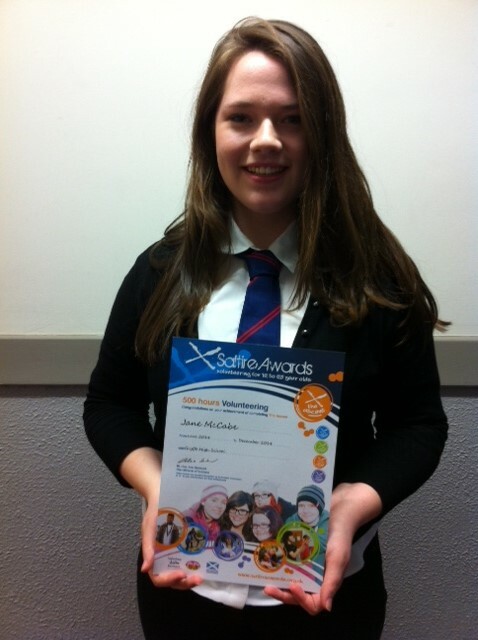 Very well done to S4 pupil Anne McKelvie who achieved selection and took part in the Regional Finals of FutureChef. 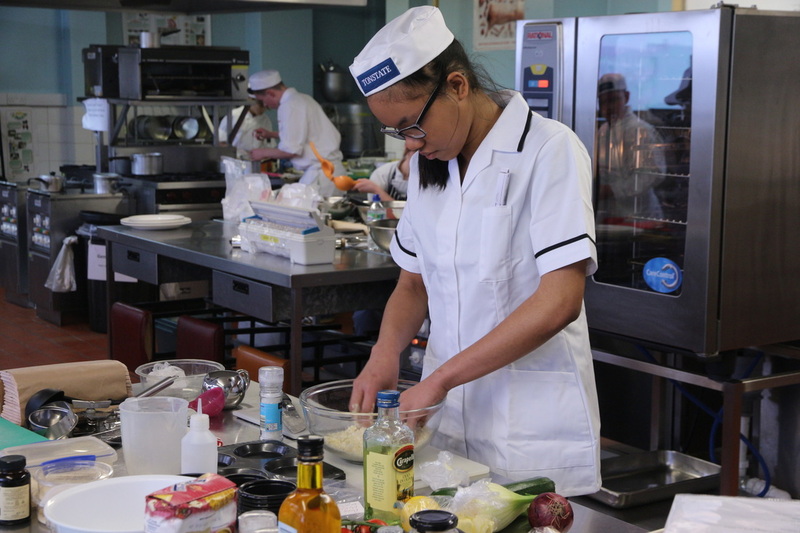 Anne successfully delivered a superb 2 course meal in the allotted 90 minute time slot under strict judging. Look out for full details in the next newsletter. A letter to all Parents/Carers regarding our school website and school uniform has been uploaded under the 'News' and then 'Letters' tabs. 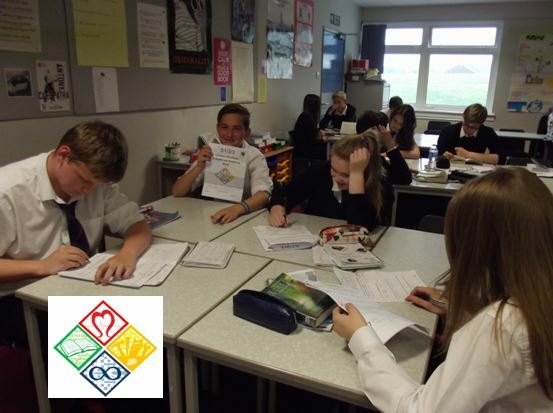 S2 into S3 and S3 into S4 Information Evening Presentation February 2015 and S1-S6 Curriculum Structures have been uploaded under the SQA/CfE tab.